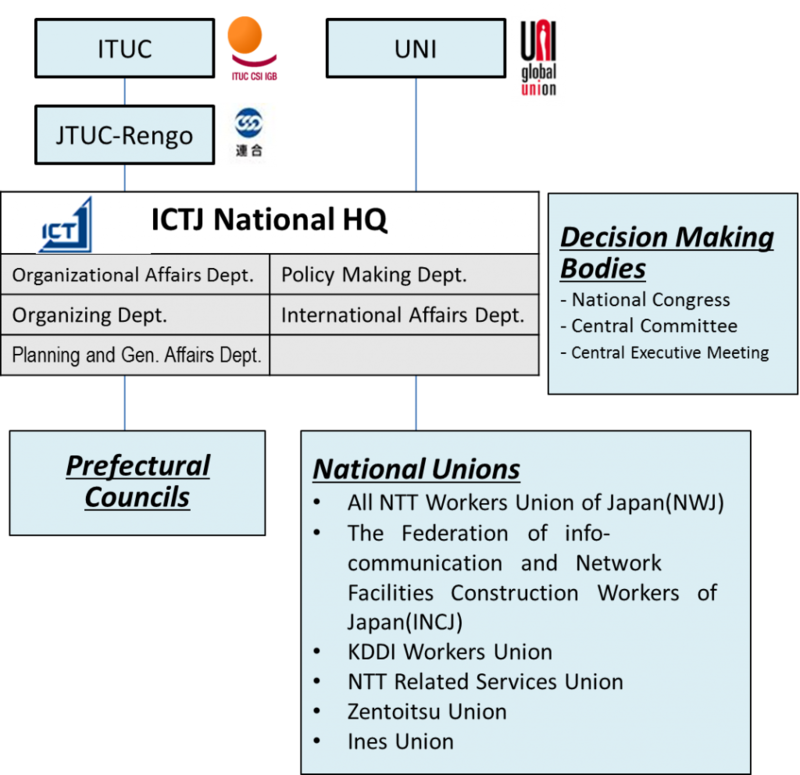 ICTJ is an industrial federation, composed of trade unions from various sectors, mainly in the ICT services industries. ICTJ has drawn up “21st Design of ICTJ” so that we could realize easy living society: not only economical abundance but various values are respected and we can choose various way of life. We carry out activities: improvement of working conditions, realization of Work and Life Balance, research of labor issues, international solidarity, consultations and create new union. The source of union is solidarity among working people. In order to protect employment and living for all workers, ICTJ promotes creating new unions and develop their activities. To promote sound business development, ICTJ discusses about employment, working condition and business issues with company management on an equal basis. © 2019 情報労連	All rights reserved.